Morgan James Faith, 9781630473044, 224pp. In March 2000, Valerie Paters had a near-death experience when a traffic accident left her pinned beneath a semi truck. 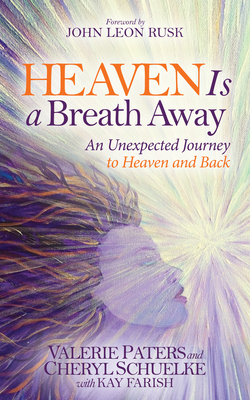 With her body functioning by way of life support, Valerie went to heaven, where she met Jesus face-to-face and discovered the unimaginable beauty of the place. Meanwhile her sister, Cheryl Schuelke, was shown a vision of Valerie swimming in a crystal stream with Jesus. Cheryl obeyed the prompting to pray Valerie back from heaven, and Valerie came back! The two have shared their story nationally and internationally, on television, at conferences, and in churches.